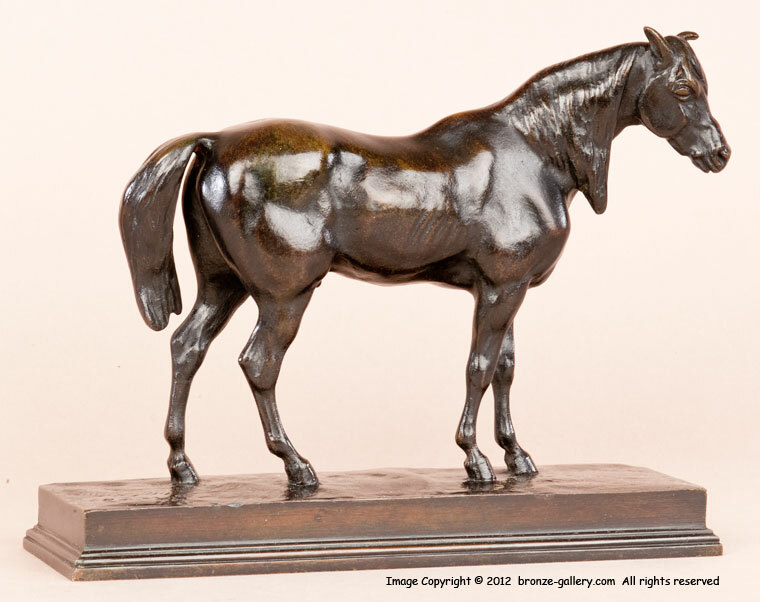 Barye created several superb models of Horses including his famous Cheval Turc but the Half Blood Horse is one of his rarer examples. Ferdinand Barbedienne was one of Barye's most ardent supporters and the casts made by Barbedienne in his Paris foundry of Barye's bronzes are always superbly cast, detailed, and finished to the standards as high as Barye's own. 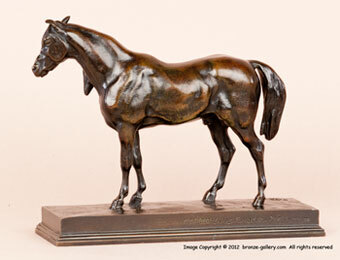 This bronze of Half Blood Horse is finished in a rich brown and black patina.